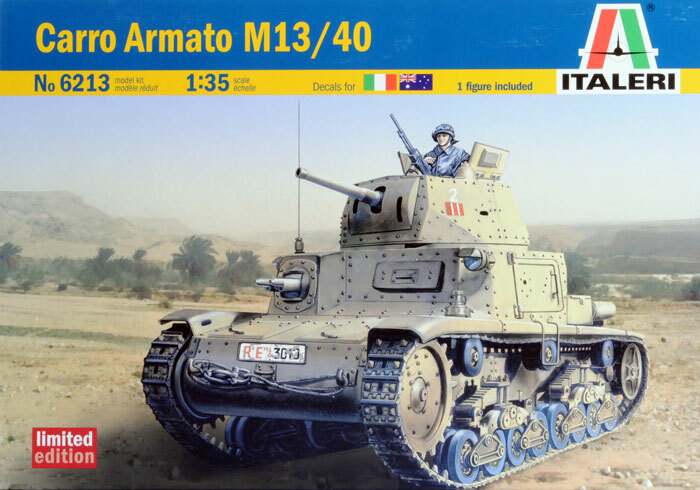 This is a re-release of an Italeri's older 1/35 scale M13/40 kit, and it is a limited edition item this time around. 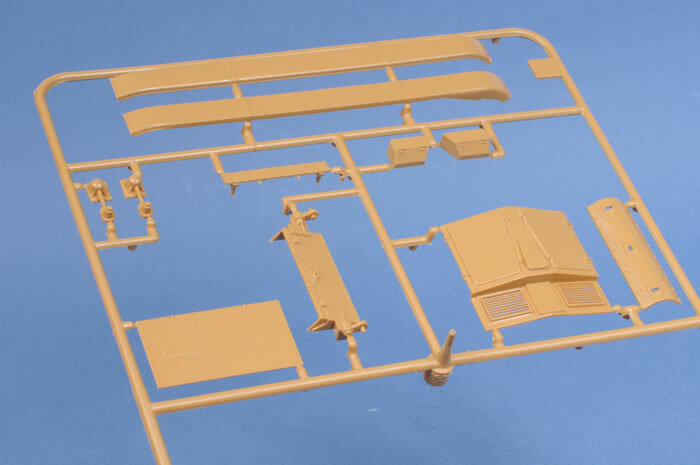 Inside the box are three sprues, containing approximately 153 tan parts, a set of rubber band type tracks, decals to do a choice of four different vehicles including an Australian version, and a set of easy to read instructions. 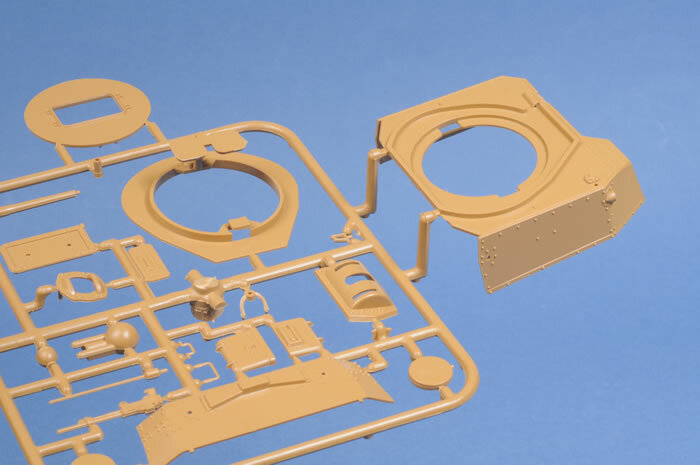 The kit parts appear to have been cleaned up and look quite crisp in detail. Cleanup of the part will require only minimal effort. 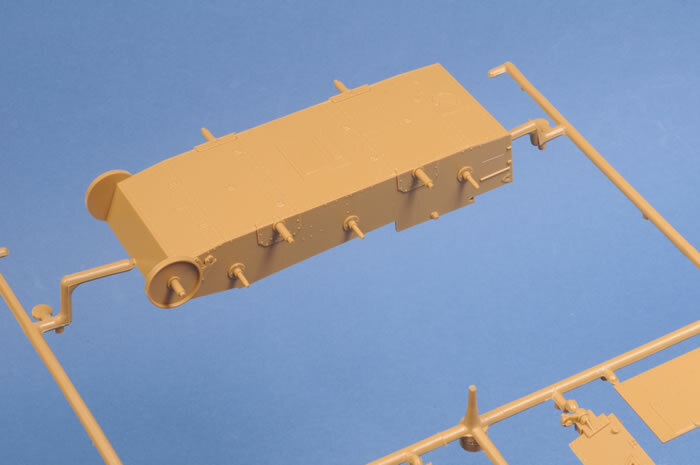 There is a figure in the kit that will make a nice addition standing next to the vehicle when completed. 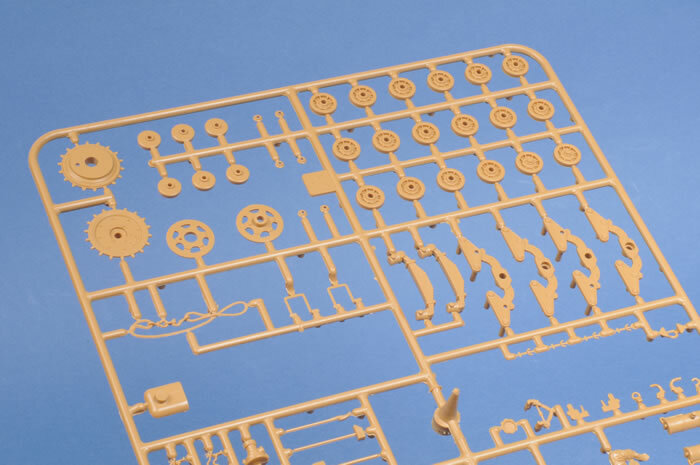 My only complaint with this kit is the rubber band tracks. 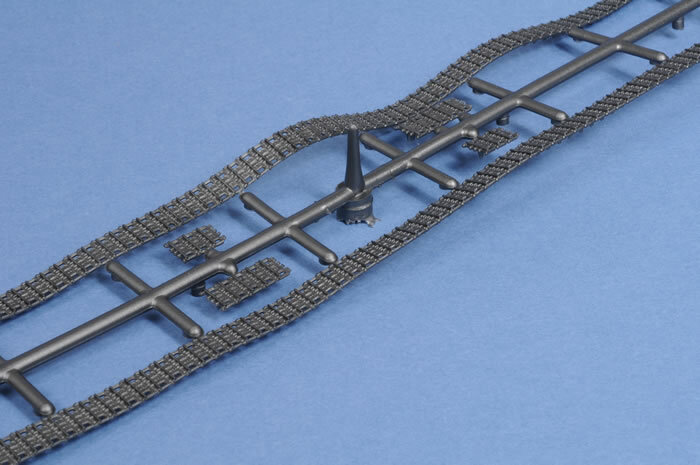 It would have been alot better if these had been redone as stryene link and length. If desired, however, these could be replaced with after market tracks. 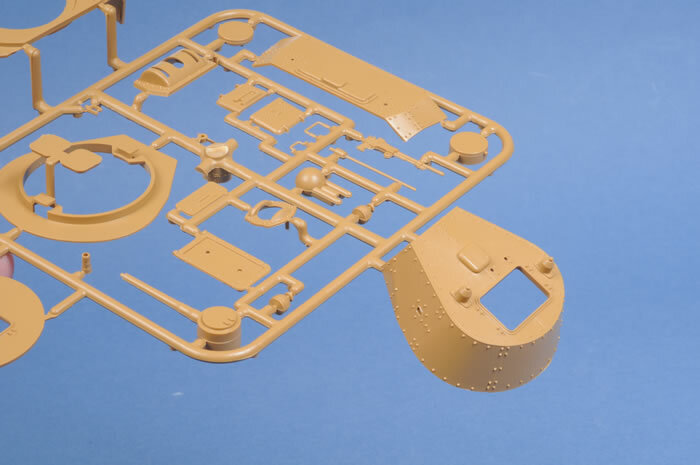 In summary, this is a very nice model of a subject that isn't really covered that much, and is nice to see on the maket again.